Update 08/30/2014: I want to thank all of the Michael Welch fans who have visited this site. It's been one of my most active blog entries during the last month. If I get time, I may post a bit more on him (this last month has been a blur - too much to do!). Update 09/04/2014: I've added another post ( < that's the link ) with a short video and a couple of pictures. As promised, I'm posting on some of the events from Shore Leave 2014 now that it's over and I have time to breathe. This one is about Michael Welch. I've haven't met many famous people in my life, and never an actor/actress from a well-known movie or television series. This weekend I met several. 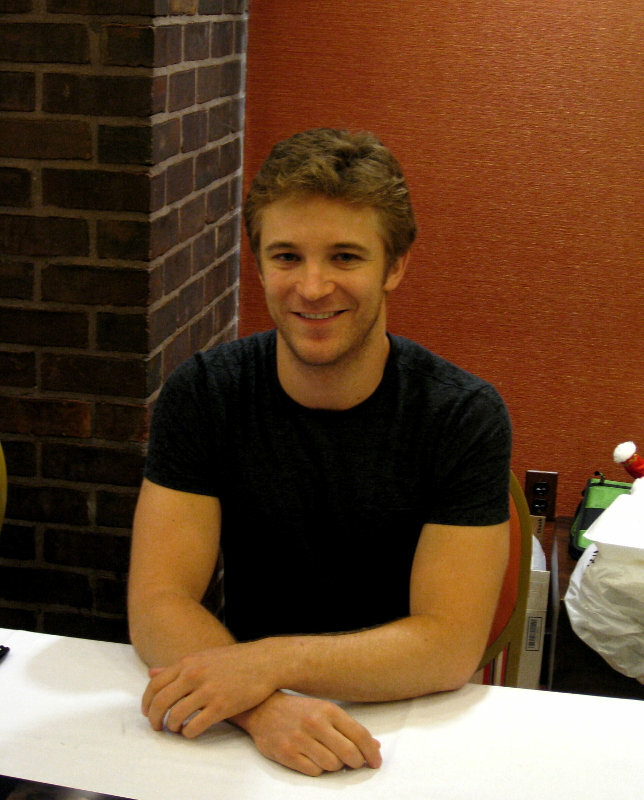 This post is about Michael Welch. I could remember him vaguely from the Joan of Arcadia television show, but I've never seen Twilight or any of his other work. I realize that you can't tell too much about a person from a brief meeting in a staged environment, but I can tell you I was impressed by how hard he worked at the convention. He gave two one-hour talks where he answered many impromptu questions from fans. He gave some insight on what it takes to be a successful actor, dealings with the paparazzi, and stories about how he got into the business (more on these if I have time). He also talked about working with writers and directors, and dealing with rejection (which every actor and writer experiences). 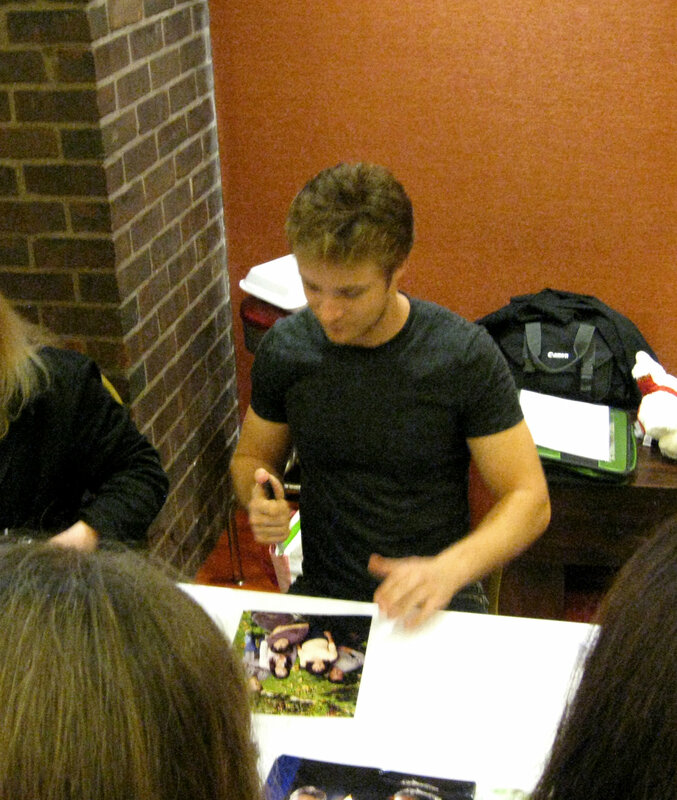 After the talks, he went back out into the halls to work the autograph lines. Though he charges for each autograph (like all the other actors) and has staff helping him, it can still be hard work. Long after most of the people and staff had left on Sunday, Michael was still there, signing autographs for anyone who asked, and taking time to talk to each person. He also allowed people to take a picture with him, and was gracious the entire time. This is not as easy as it sounds. There are a lot of, well, let's say, "eccentric" people at these conventions (not me, of course), and you never know what sort of person may want to squeeze up against you in a situation like this. He never stopped smiling. Trust me—it's impressive. More on Shore Leave 2014 later!